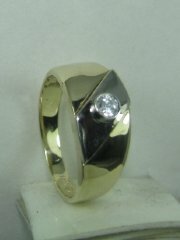 Designers diamond ring with stone set in hexagonal housing, price without diamond. 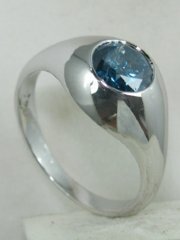 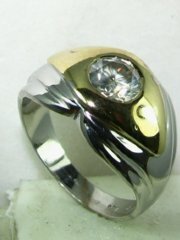 Unusual designers ring for those who want something different, price without diamond. 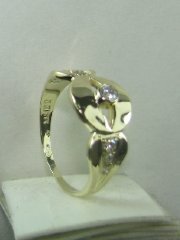 Designers diamond solitare ring, price includes diamond. 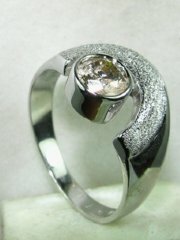 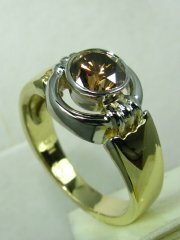 High fashion designers diamond ring with brown diamond, price without diamond. 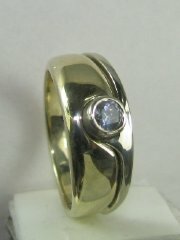 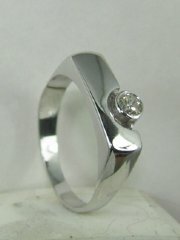 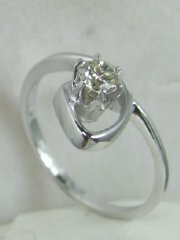 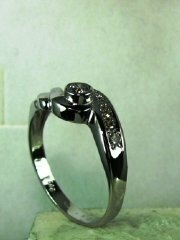 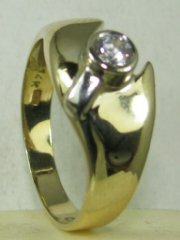 Designers diamond ring with small stone on the side, price includes diamond. 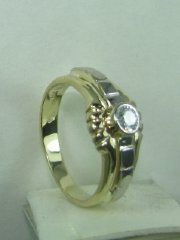 Delicately designed two color gold and diamond ring, price includes diamond. 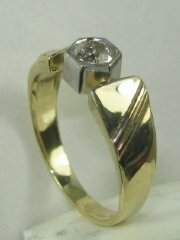 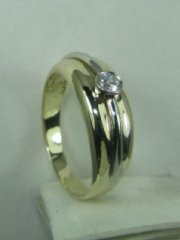 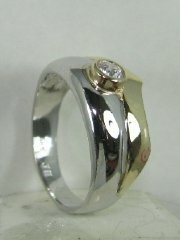 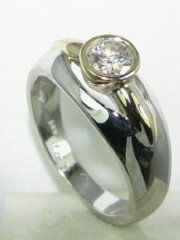 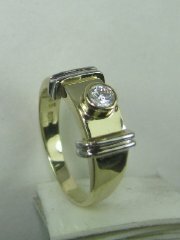 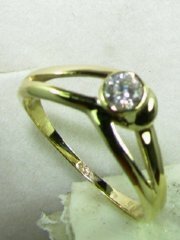 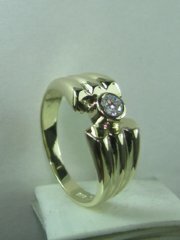 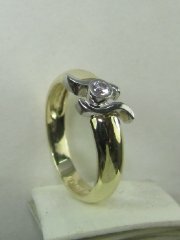 Designers special gold and diamond solitare ring, price includes diamond.